'Nonso John 'nonny' /nɒnʹso dzɒn ʹnɔ:nɪ/: (noun; uncountable; singular) Wild. Crazy. Cool. Righteous King. Dangerous Warrior. Passionate Lover. Loyal Friend. Bond-Lieutenant to the true Emperor, Jesus the Christ. Scribe. The sparrow’s songs. The jackal’s laughter. The lion’s roar. Eve’s allure. One string through them all. I am the one in all. My romantic tales with you end with no woes. I am Lover. I am Writer. Warrior drenched in blood and sand. Ten thousand chariots, one rider. Me. I created light. I am Light Himself. Within, outside, and beyond time. Stand in awe before me. Beauty Himself. Most Amazing. Most Intelligent. Most High. Who always will be jealous for you. That organ beating beneath your rib cage? Is a testimony to my genius. No tease. And when a strand of your hair falls, I notice. Beethoven ever played Duh Duh Duh Duh! For you, I am haven. For your problems, I’m a monster. I’m your most primal craving. Though you know it not. Forget Ali. I’m the greatest. I call into your depths. And you answer. With a staff, I divide seas. Dry rod flowers. Ax floats on water. When I nod, the mountains melt. The seas? They flee when I breathe. I touch your tongues, and you spit flames. I make you hot. Make you look hot. Then out of my mouth will I spew you. I took the punishments due you. I call many. Choose few. You. I’m Tsidkeneu. I make you new. I am Creator. Crazy Romantic. I am Theos. Yah’owah. The Vyevo-Vyavo. The Lily – not of the valley, cos I made those too. I am the beginning. I am the end. I am each and everything between zero and infinity. I am not just God. I’m also the Just God. The God of justice. The God that just is. Na only Me sabi as e dey do you. She’s Nimrod’s first daughter, a disguised folly. Upon the waters she sits. Seven horns, blaspheme is its name. But she still sits. In power. Having fornicated with Kings, she still sits. Throw her down. Rebuild the desolate places. The Glorious bride, to be unveiled. Babylon the great is fallen, said I, THE LORD. He also foot every bill I owed. Death. Like literally. His foot bears the mark till date! You see, He took them nails for the sake of my little fingernails. He took thirty nine lashes to safeguard my eyelashes. My lover? He proposed on a tree! With a bomb! Arms spread wide! Blew me away. How romantic! Strapped the bombs on his waist: sickness and sin. And forever changed the mark of death on me. Not for religious fanaticism. Or political activism. But just so He can prove His love for me! I pledge allegiance to the greatest suicide bomber. I pledge allegiance to Jesus, the Christ! The alarm clock will go blaring! Would first of all, let his true master bathe him. Masturbating, becomes the new boss. His wrongs are always before him, his conscience pricking. He knows the matters of his heart, his own issues of blood. He always knew the Tsidkeneu could make him new. He would shy away, after all, he’s seen the judgment in the silent cues. And solely for their approval, he would sell his personality. But it was never going to be enough, he would never fit. And no matter how many times he made it to the front pew, his history will never change. His soul could never be saved, or so they say. Because in their eyes, He will forever remain a misfit. he would bounce back into bed, pull the covers even tighter on himself and stroll back into the cold unflinching arms of Sleepy Slumber. “I’ll try again next sunday”, he says. I’m talking about Him. and him. and him. And her and the other her. 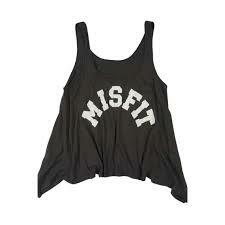 A misfit? Are you kidding me? Did not the Master say go ye and have dominion? Did not Christ command, to go ye after the sinners? With all goodness and mercies? Who then gave us the audacity to prophesy over God’s child, what He has not sanctioned? That is like a blinding slap to the creator’s face. Where then, is the place of abundant grace? We’ve used our tongues and our eyes. We proclaim judgment over these ones with our minds. Since when did the outer look of a book determine the content of its riches? Is not the work of the Holy Spirit inside out? Or was it outside in? So why do we judge our brothers so? Even blind Brother Phary, sees clearly the point I with this simple poem humbly preach. What is wrong with the church of today? This poem ain’t speaking against correction. It only seeks to unseat the lie we’ve represented the body of Christ to be, for even the church was never supposed to be a perfect fit. So why do we wanna behave like her. Not this her. I mean the other her. Why do we imitate her? She who smiles with the grace of Athena, the beauty of Aphrodites, but with the serpent infested head of Medusa. Why do we imitate her who lures kings to her bed, patting their backs, singing their praises, preparing for their necks a stabbing knife. Why do we imitate Lucifer’s own girlfriend? She who my Pastor loves to call the world system. Me? I prefer her native name: Babylon. Or Have you not read it in your Bible? That we and this world are never going to be a match made in heaven? That no dating site or psychologist could ever fix this. That we’re like two sides of a coin. Gotta be heads or tails, baby. Shouldnt you be wary when all of a sudden she wanna date you? So long as we follow Jesus, this world will always hate. You should ask yourself: Am I still saved? So when the world rejects the sinner, would you join in the game and judge him back to the world? Remember that when Jesus came the first time, it was religious people that put Him on the cross. Because he would not fit into our church programmes? Or He would not look like we expect him to? To whom the master had said to feed my sheep. Listen to me. I have a message for you from His Eminence. As long as you come to me, there is hope for ya. And as long as they keep judging you, stand strong. He says come. feed. then see… that I am God. But actually, it’s like Easy-Peasy Japanesie. However, there is one thing my church usually keeps out of the message of my word. Your past Pastors, your lead Leaders, your Generals generally have taught you that you can come to me the way you are. It’s true. But you see, like two edged sword, grace is incomplete without truth. Truth. Responsibility. Respond. Sensibly. To this truth. You can come to me the way you are – my arms are wide open – but I forbid you to remain that way for longer. Confess your sins. Faithful and Just to forgive is my name. But no, do not stop there. Take responsibility for your actions. Then go and sin no more. That we quit the blaming and the condemning. And press on towards the mark. The heavenly glory. For you have never arrived, until you walk down the streets of gold. You’re never perfect until you drink from the banquet table of perfection. And You can only know you’re the best when you’re the only gunslinger cowboy still standing after all the dust settles.